Related articles: Earthquakes in astrogeography. 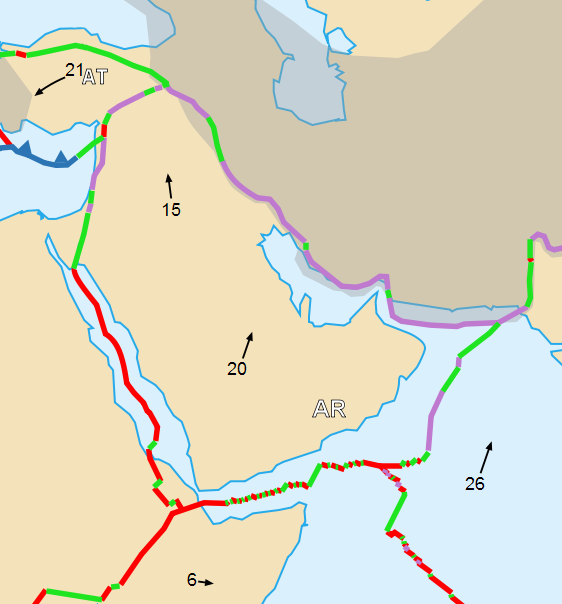 The Kermanshah earthquake occurred near the Iran–Iraq border, approximately 220 kilometres (140 mi) northeast of Baghdad, Iraq, near the convergence of the Arabian and Eurasian tectonic plates. According to the United States Geological Survey, the earthquake measured 7.3 on the moment magnitude scale, and was caused by a dipping slip fault over a large area. It is the strongest earthquake recorded in the region since a 6.1 Mw event in January 1967, part of a series of strong earthquakes along the plate boundary in the 1950s and 1960s. According to the BBC, the earthquake was felt as far as Turkey, Israel, and Kuwait. Astrogeographic position of the epicenter of the Kermanshah earthquake for morphogenetic field level 1 which describes the supraregional relevance of the event for the whole of the Iran, Iraq, and surrounding regions: the coordinates are 3°Sagittarius and 10°Leo. The Venus-Jupiter conjunction on 6° and 7° Scorpio an indicating sign for magma chambers and particularly hard tectonic material stood for a strong movement and pressure below the ground southeast of the epicenter. The conjunction of these two planets is currently approaching the exact square to the astrogeographical coordinate of the epicenter at 10° Leo. 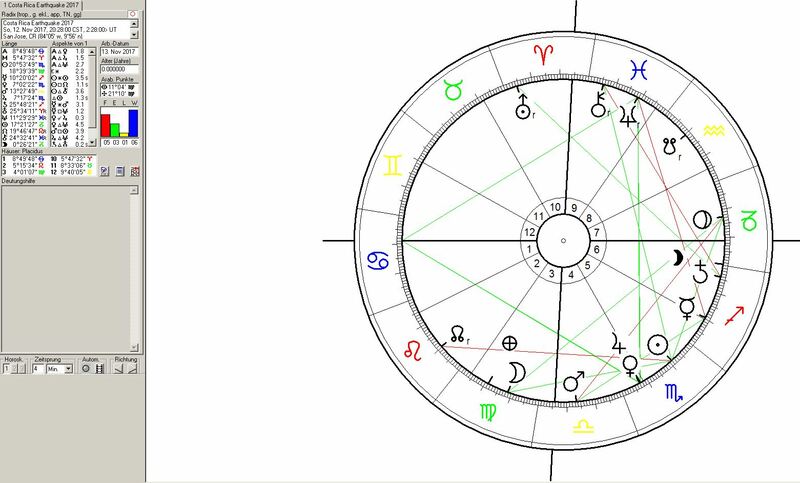 Mars exactly conjunct the IC and as the ruler of midheaven stands for extreme and sudden pressure, eruption as well as implosion below the epicenter. 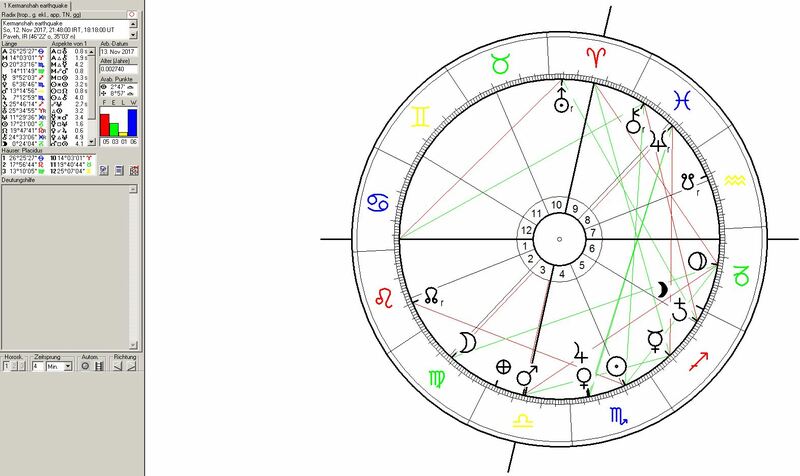 Due to his position in air sign Libra the sign of “openings in rocks” effects of a process of the formation of a new balance between the local and overall movements of the Eurasian and Arabian plates.